DESIGN AND INSTALLATION OF MARKET LEADING LITHIUM ION HYBRID SOLAR SYSTEMS. BOTH RESIDENTIAL AND COMMERCIAL SYSTEMS. WE ARE THE HYBRID SOLAR LITHIUM BATTERY SYSTEM EXPERTS, CONTACT US TODAY FOR PROFESSIONAL SERVICE AND ADVICE. This system is capable of producing around 30kW hours of solar electricity per day combined with 10.42kW hours of Lithium Ion battery storage. 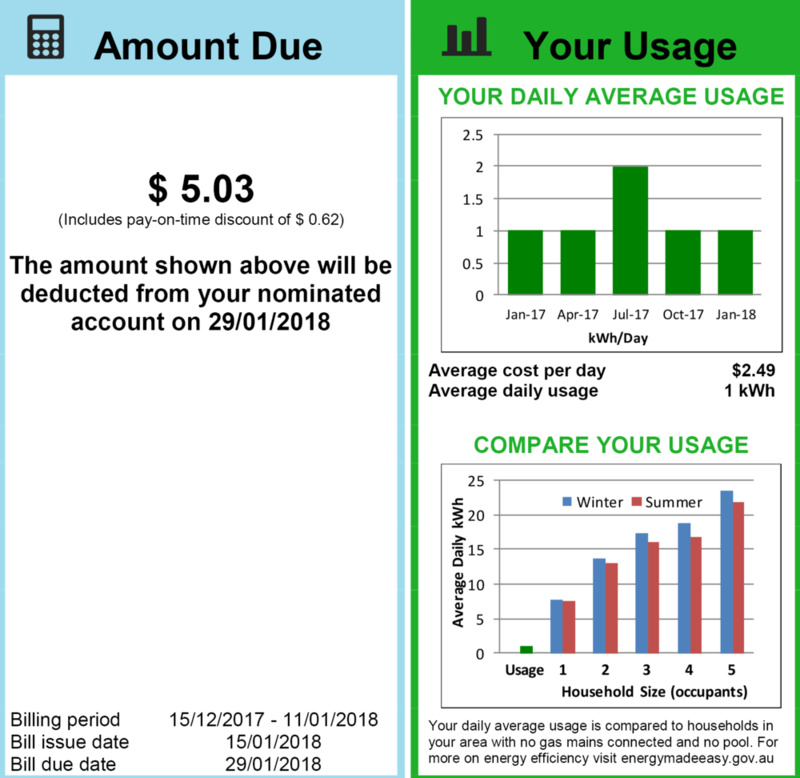 With current energy prices between $0.28 - $0.32 per 1kWh means you can generate somewhere between $3,066 to $3,504 per year. Of course site specific factors such as shading, orientation of panels, weather patterns, load profiles and daily kWh usage will uniquely effect the yearly performance. Based on the earlier figure of $3,066 of energy produced per year means you could get a return on the system $18,999 / $3,066 = after 6 years. Based on the later figure of $3,504 of energy produced per year means you could get a return on the system $18,999 / $3,504 = after 5 years. This system is suitable for households that are using between 12 ~ 35kWh per day. Above graph shows the DCS 7.2kW hybrid package able to yield 30kWh per day in the middle of winter. JULY 2017 in South Eastern QLD. You certainly don't need to be located in far inland Longreach as some skeptics would mislead you into believing. Above graph shows the DCS 7.2kW hybrid package able to yield well in excess of 35kWh per day in the middle of summer. DEC 2017 in South Eastern QLD. Note the amount of exported energy is significantly more than the daily usage by this household, the system will only export surplus energy back to the grid when the 10.42kWh usable DCS LFP battery is 100% fully charged. With this customers consumption averaging around 22kWh daily, the above graph shows the DCS 7.2kW hybrid package able to achieve 89.95% self sufficiency in the middle of winter. JULY 2017 in South Eastern QLD. 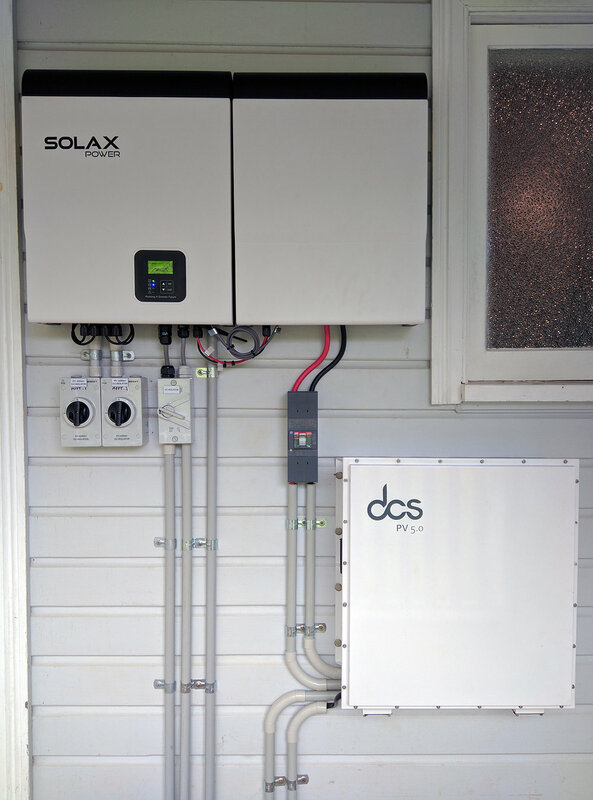 A well designed solar hybrid system such as the DCS hybrid packages are able to extract the full potential of our industry leading lithium ion batteries. - Fast return on investment (ROI) due to our affordable and long life battery cell technology. - Advanced EMS (Energy Management System) with a 100Amp charge controller, super fast recharging and allows future expansion of up to 40kWh of DCS Lithium Ion storage. You'll never have to upgrade your inverter again, this platform ticks all the boxes. - Zero net export in case you are in a region which does not allow power to be exported back to the grid, in this case any surplus power will be prioritised to house loads and then to keeping the batteries fully charged. - The most advanced, safest and reliable Lithium (LFP) RESU (Residential Energy Storage Unit) battery. The DCS PV 10.0 Lithium Iron Phosphate battery provides a full 10.42kWh of usable energy storage. Rebuildable in the future. 98% Round Trip Efficiency and warranted for 10 years / 80% capacity. Advanced BMS (Battery Management System) automatic protection from under charge, over charge, over current and over and under temperature conditions. We say it again and again you can't save money on batteries just like you can't save money on car tyres. It's really sad to see so many mums and dads wasting their hard earned dollars on entry level housing batteries with misleading 10 year warranties. Investing in a hybrid solar system for your family is a long term investment there is no way to cut corners. We can save you in excess of 90% off your bills and hedge you for the rising costs of electricity. Or if you have been thinking about it we can help you disconnect from the grid all together and take you off grid straight away. If you want to see a return on investment contact DCS today. For honest and professional advise. This system is capable of producing around 25kW hours of solar electricity per day combined with 5.12kW hours of Lithium Ion battery storage. With current energy prices between $0.28 - $0.32 per 1kWh means you can generate somewhere between $2,555 to $2,920 per year. Of course site specific factors such as shading, orientation of panels, weather patterns, load profiles and daily kWh usage will uniquely effect the yearly performance. Based on the earlier figure of $2,555 of energy produced per year means you could get a return on the system $13,999 / $2,555 = after 5 years. Based on the later figure of $2,920 of energy produced per year means you could get a return on the system $13,999 / $3,504 = after 4 years. This system is suitable for households that are using between 5 ~ 12kWh per day. Above graph shows the DCS 6.0kW hybrid package able to yield 22kWh per day in the middle of winter. JULY 2017 in Northern NSW. Over the summer months this system will comfortably yield 25kWh. Above graph shows the DCS 6.0kW hybrid package able to yield well in excess of 30kWh per day in the middle of summer. JAN 2018 in Northern NSW. - Advanced EMS (Energy Management System) with a 100Amp charge controller, super fast recharging and allows future expansion of up to 40kWh of DCS Lithium Ion storage. You'll never have to upgrade your inverter again. - The most advanced, safest and reliable Lithium (LFP) RESU (Residential Energy Storage Unit) battery. The DCS PV 5.0 Lithium Iron Phosphate battery provides a full 5.12kWh of usable energy storage. Rebuildable in the future. 98% Round Trip Efficiency and warranted for 10 years / 80% capacity. Advanced BMS (Battery Management System) automatic protection from under charge, over charge, over current and over and under temperature conditions. Another happy customer from NSW, enjoying $5.00 bills per quarter. Using 1kWh per day for 9 months of the year and only 2kW per day in the peak of winter. All backed by our industry leading 10 year / 80% capacity warranty. Start saving today! Contact DCS on 1300 795 327 or email info@deepcyclesystems.com.au and ask us how we can reduce your power bills.